The new 2018/19 tax year is well underway, and consequently HMRC has been busy updating a number of tax forms and guidance on its website, in part to reflect the new rates, allowances, and legislation that are in effect for this tax year, whilst also updating end of year forms in relation to the 2017/18 tax year. As a result, there have been some updates to the PAYE forms on HMRC’s website, as well as some changes to the accompanying PAYE guidance. We outline what these main changes are, and what they mean for you. PAYE, short for Pay As You Earn, is a system that enables tax to be deducted at source in relation to employment income. Specifically, it is used to collect income tax and any national insurance contributions (NIC) on HMRC’s behalf, from both employer and employee. Although the PAYE system involves three parties: HMRC, the employer, and their employee, the onus is on the employer to operate the system, and there are penalties for non-compliance or inaccurate reporting. Do I have to set up a PAYE scheme? The short answer is that, if you’re an employer in the UK, then you’ll most likely have to register for PAYE and operate a PAYE system within your business. However, there are some exceptions to this rule. For example, if no employee is paid more than what is called the "lower earnings limit" for Class 1 NIC purposes, then you may not have to register for PAYE. The lower earnings limit for the 2018/19 tax year is £116 per week. That equates to £503 per month or £6,032 per year. However, most employers will find that their staff’s weekly wages are in excess of the £116 threshold, and so will be required to operate a PAYE system. Please note that, even if you aren’t required to set up a PAYE scheme, you will still have to keep payroll records for the amounts you pay to your employees for at least three years following the end of the tax year that those records relate to. How do I operate PAYE? If you’re an existing employer, then you will likely already be familiar with different PAYE systems, and have one in place that works for you. If you are a new or first-time employer, there are usually two different ways you can run a PAYE system. This option is available for employers that would like specialists to run their payroll for them. There are a number of specialist payroll providers available, or you could choose to use your local accountant, provided that they offer payroll services. You’ll often still be responsible for collecting and storing records related to your employees, but a payroll provider can provide a wide range of services, including creating payslips for your employees and making the required payments to HMRC. If you’re confident managing your own PAYE system or only have a few employees, then you may prefer to keep things in-house and set up your own payroll system. To do this, you’ll need to choose payroll software. If you have less than 10 employees then there are a number of free software providers that you can use, including HMRC’s own "Basic PAYE Tools." If you have more than 10 employees, or do not want free software, then there are a number of paid-for software providers. The main difference between outsourcing payroll and keeping it within your business is that you will need to make sure that you pay HMRC the income tax and NIC owed at the correct times, and also comply with year end reporting. For example, you would need to ensure that form P60 is prepared and given to your employee by 31 May following the end of the tax year. Although some employers are happy to run payroll themselves, others find it much easier to outsource the function to a specialist payroll team. If you’re unsure, it’s best to speak to your accountant as to what your best options are. Which PAYE forms have been updated? HMRC recently released the 2018 versions of the end of year reporting forms for PAYE. The main changes have been to the end of year reporting forms for expenses and benefits, including updates to the P11D and car benefit forms. We outline these changes below. This form should be used by employers that need to report any expenses or benefits paid to employees or directors during the tax year. Form P11D(b) should be completed where you, as an employer, need to report the amount of Class 1A NIC that is due on any benefits or expenses you have provided to employees over the course of the tax year. 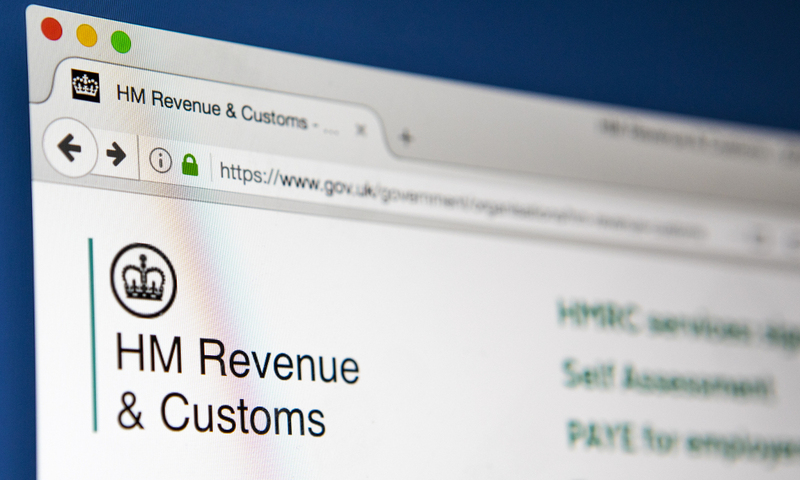 You can obtain form P11D and form P11D(b) separately through HMRC’s website, or you can use their online form, which includes both forms in one document. WS6 – mileage allowance payments. Note that there is no obligation to use these working sheets, but some employers may find them useful. The deadline for submitting a P11D to HMRC is 6 July following the end of the tax year. This means that, for the 2017/18 tax year, the form should be submitted by 6 July 2018.
been given a company car, and it’s the first time; or had their company car withdrawn, and it won’t be replaced by another car. Note that for the 2018/19 tax year, employers should not complete form P46(Car) if they are taxing the benefit through payroll. If this is the case, then the car benefit for the employee should be reported on the employee’s Full Payment Submission (FPS) form. If you’d like to access any of the above PAYE forms, you can do so through HMRC’s website. Where can I find further guidance? HMRC has also updated some of its PAYE guidance to help with end of year reporting in respect of the 2017/18 tax year. Additionally, some guidance has been updated to make it relevant to the current 2018/19 tax year. This short guide is aimed to help employers complete forms P11D and P11D(b) in respect of the 2017/18 tax year. It clarifies matters such as whether you need to complete a P11D or P11D(b) and also provides some additional guidance on how to calculate the benefits or expenses that you wish to report. This guide explains how you go about payrolling employees’ benefits and expenses, including how to register and what benefits you can payroll. Specifically for the 2018/19 tax year, the guidance has been updated to provide information related to Real Driving Emissions 2 (RDE2) compliant diesel cars. This guide outlines how employers can report payrolled car and fuel benefits to HMRC. Like the payrolling guide above, the main update for the 2018/19 tax year is to provide further information regarding the treatment of RDE2 compliant diesel cars. HMRC has updated this guide, which outlines what to include in FPS and EPS submissions to HMRC, to include the rates, allowances, and duties that are applicable for the 2018/19 tax year. Although PAYE can be difficult to get right, it’s worth taking time to understand your PAYE obligations, as penalties do apply for late or incorrect reporting. If you’re unsure about any of the new forms or PAYE guidance, speak to your accountant or payroll provider for advice.